CIAO is TAO's implementation of CORBA Component Model (CCM) specially optimized for distributed real-time embedded (DRE) systems. This page contains links to other documents and resources for building and using CIAO. DAnCE's implementation is based on the OMG's Deployment and Configuration Specification version [ptc/2003-07-08]. Here is a list of the major actors of CIAO runtime that a user should be aware of. NodeManager: A daemon process responsible for managing NodeApplications that reside in the same physical node. NodeApplicationManager: A infrastructure component responsible for deploying locality-constrained applications onto a node. A NodeApplicationManager is usually created by NodeManager. 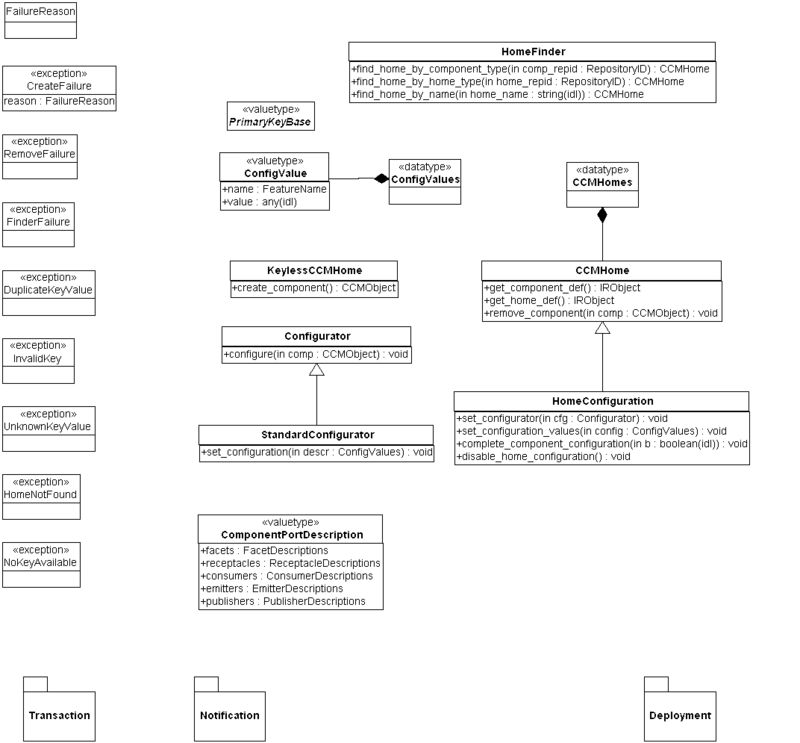 NodeApplication: A component server instance spawned by NodeApplicationManager. 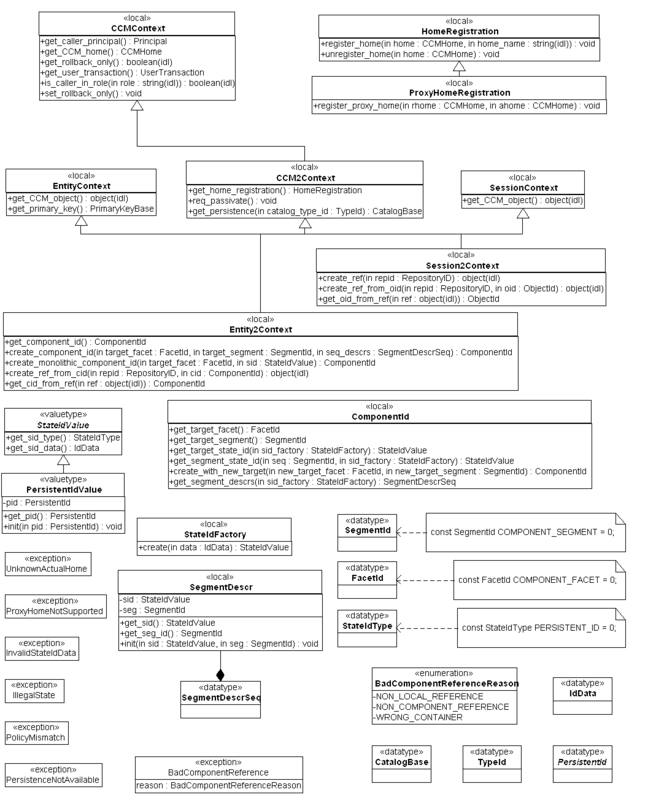 ExecutionManager: Infrastructure component responsible for executing an component-based DRE application based on the information from DeploymentPlan. DomainApplicationManager: Domain-oriented auxiliary component created and used by ExecutionManager to deploy the component-based DRE application at the domain level. PlanLauncher: Executor component responsible for parsing the XML-based deploymentplan and passing the plan to ExecutionManager for execution. 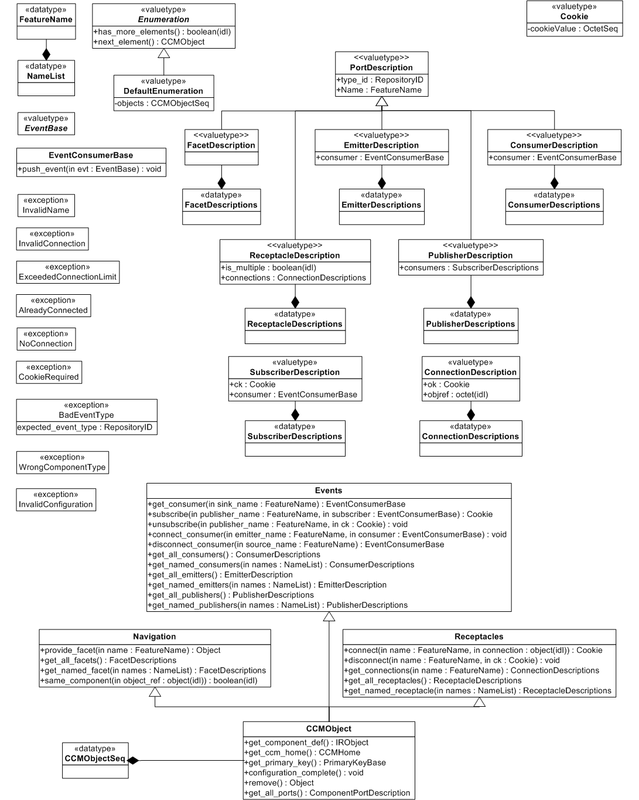 To understand the runtime inter-relationships of various CIAO actors, you may click here to see a sequence diagram that gives you a clear representation of what's happening when you start a DAnCE-based DRE application. Special thanks to Friedhelm Wolf who initiated and contributed most part of this diagram. Tutorial on the CORBA Component Model (CCM). 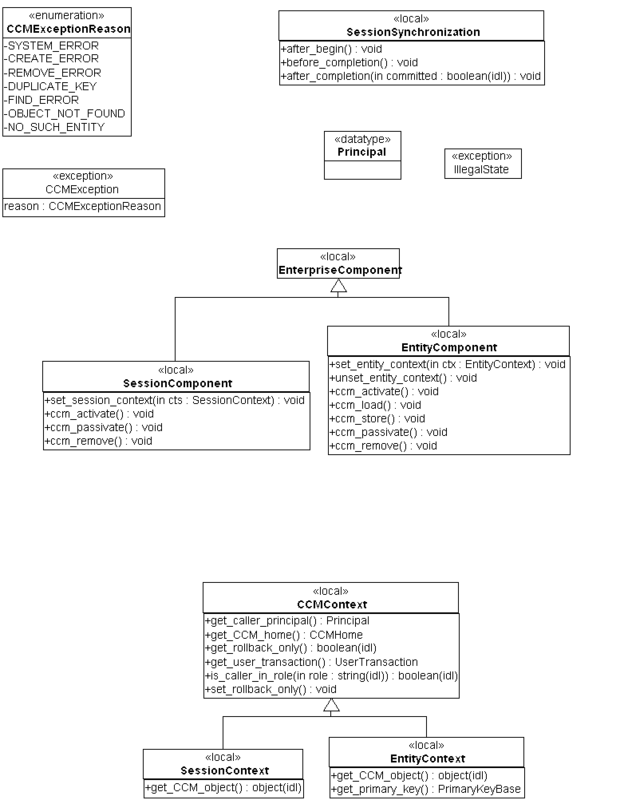 This tutorial presents an overview of the CORBA Component Model (CCM), describing its key features and illustrating how to write CCM applications in C++. $(CIAO_ROOT)/DAnCE/examples/Hello. 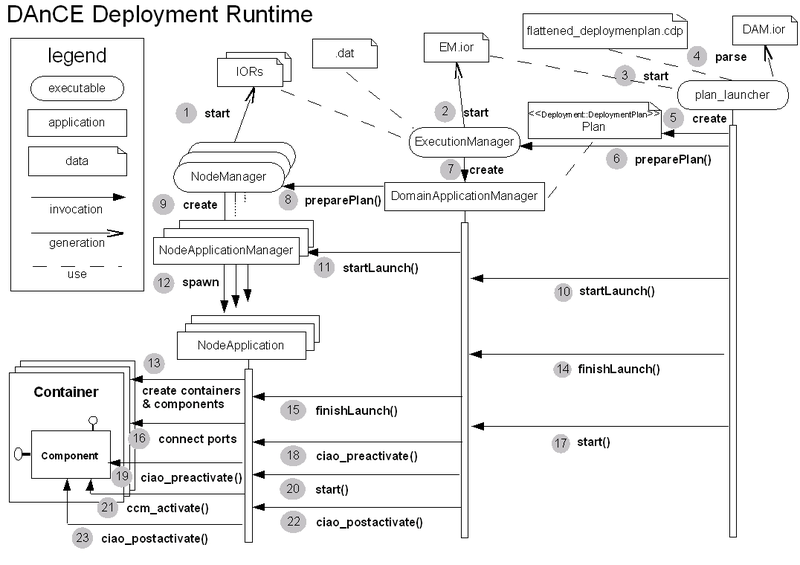 This example illustrates how to build and deploy a CIAO based application step-by-step. There is also a detailed documentation explaining this example avalable in both PDF and PowerPoint format. $(CIAO_ROOT)/docs/tutorials/Quoter/Simple. This example illustrates the implementation of the "famous" Quoter example in the CIAO world. Please refer to README for more information.